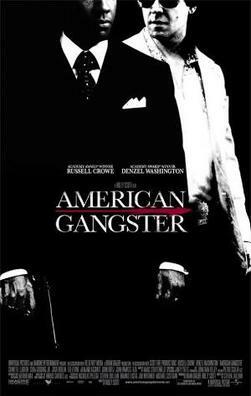 The folks at H&M Communications have partnered with Literanista to offer my readers a chance to win a collection of DVDs just in time for Father's Day that includes a Safe House DVD, an Inside Man DVD, and an American Gangster DVD. Update: I have two prize packs to giveaway! It simple, enter below to win! * The DVD prize pack winner will be chosen randomly via Rafflecopter. "Victor Cruz, the Super Bowl-winning and record-breaking wide receiver, is best known for his explosive plays and salsa touchdown celebrations. While his meteoric rise in the NFL looked like the result of a magical year, it was actually a lifetime in the making. Raised in Paterson, New Jersey’s gritty Fourth Ward, Cruz overcame numerous setbacks through hard work, perseverance, and the support of his loving family—from his grandmother who gave him his signature dance moves; to his late father, a former firefighter, who introduced him to football and taught him how to play; to his hard-working, single mother who never let him give up in the face of a challenge. They all helped to keep him on the right path, as did his coaches, but Cruz’s journey was never easy. There were family tragedies, academic struggles, injuries, and more. In this inspiring, never-before-seen account, Cruz pays tribute to the people and places that made him the man he is today, recounts his most defining moments, and illustrates how his hardships ultimately unleashed his impenetrable will to win. Out of the Blue is a candid and moving reflection of an overlooked and undersized athlete with an uncommon last name in American football that was determined to beat the odds and earn his chance to succeed." A baseball legend distinguished by his competitive nature, quick wit, and generous spirit, Lefty Gomez was one of a kind. Told for the first time, this is his remarkable story. Born to a small-town California immigrant ranching family, the youngest of eight, Vernon “Lefty” Gomez rode his powerful arm and jocular personality right across America to the dugout of the New York Yankees. Lefty baffled hitters with his blazing fastball, establishing himself as the team’s ace. He vacationed with Babe Ruth, served as Joe DiMaggio’s confidant, and consoled Lou Gehrig the day the “Iron Horse” removed himself from the lineup. He started and won the first-ever All-Star Game, was the first pitcher to make the cover of Time magazine, and barnstormed Japan as part of Major League Baseball’s grand ambassadorial tour in 1934. Away from the diamond, Lefty played the big-city bon vivant, marrying Broadway star June O’Dea and hobnobbing with a who’s who of celebrities, including George Gershwin, Jack Dempsey, Ernest Hemingway, Marilyn Monroe, George M. Cohan, and James Michener. He even scored a private audience with the pope. And even when his pro ball career was done, Lefty wasn’t. He became a national representative for Wilson Sporting Goods, logging over 100,000 miles a year, spreading the word about America’s favorite game, and touching thousands of lives. In 1972 he was inducted into the National Baseball Hall of Fame. 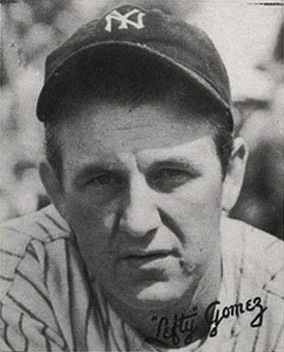 Three baseball fields are named for him, and to this day the top honor bestowed each year by the American Baseball Coaches Association is the Lefty Gomez Award. “I’d rather be lucky than good,” Lefty Gomez once quipped—one of many classic one-liners documented here. In the end he was both. A star-studded romp through baseball’s most glorious seasons and America’s most glamorous years, Lefty is at once a long-overdue reminder of a pitcher’s greatness and a heartwarming celebration of a life well-lived. Few politicians have risen to national prominence as quickly as Marco Rubio. At age forty-one he’s the subject of widespread interest and speculation. But he has never before told the full story of his unlikely journey, with all the twists and turns that made him an American son. That journey began when his parents first left Cuba in 1956. After Fidel Castro solidified his Communist grip on power, Mario and Oria Rubio could never again return to their homeland. But they embraced their new country and taught their children to appreciate its unique opportunities. Every sacrifice they made over the years, as they worked hard at blue-collar jobs in Miami and Las Vegas, was for their children. Devastated after his grandfather’s death, Rubio was getting poor grades and struggled to fit in at his high school, where some classmates mocked him as “too American.” But then he buckled down for college and law school, driven by his twin passions for football and politics. He played football at a small college in Mis­souri, then came back to Florida to attend Santa Fe Community College and the University of Florida. He went on to earn his law degree from the University of Miami and took a job at a law firm, which paid him a handsome salary that allowed his father to retire. As a young attorney he ran for the West Miami City Commission, a role that led to the Florida House of Representatives. In just six years he rose to Speaker of the House and became a leading advocate for free enter­prise, better schools, limited government, and a fairer, simpler tax system. He found that he could connect with people across party lines while still upholding conserva­tive values. His U.S. Senate campaign started as an extreme long shot against Florida’s popular incumbent governor, Charlie Crist. Undaunted by the early poll numbers and the time away from his wife and kids, Rubio traveled the state with his message of empowerment and optimism. He upset Crist in both the primary and a dramatic three-way general election, after Crist quit the GOP to run as an independent. In that vision, as in his family’s story, Rubio proves that the American Dream is still alive for those who pur­sue it. John Leguizamo let us follow him around during the process of creating GHETTO KLOWN, his uber-successful fifth one-man show. What came to life was an intense portrayal of a talented artist writing his magnum opus. 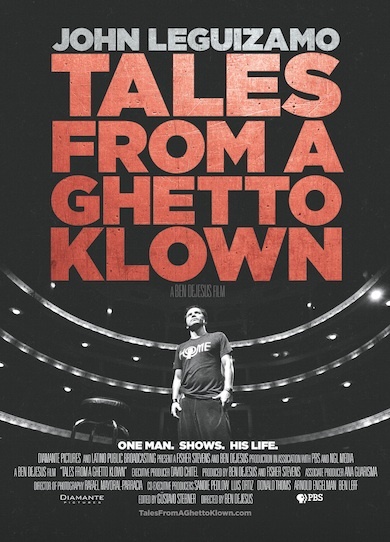 From Off-Broadway to Broadway, from English to Spanish, from New York to LA, Colombia, and everywhere in between, this is a story of how you make a Ghetto Klown. Ben DeJesus directs this intimate look at an urban superstar turned Broadway baby. The film chronicles the three year long endeavor including the writing process, the ups and downs of producing, the pitfalls and the stress involved in turning an idea, and then later a cultural re-awakening, into a reality. The Who: John Leguizamo and his faithful director Fisher Stevens take us on the triumphant journey. Along the way, we meet supporters and friends including Rosie Perez, Ralph Fiennes, Liev Schrieber, Justine Leguizamo, Ruben Blades, producer Arnold Engelman, John’s childhood friends, the legendary acting coach, Wynn Handman, and more. Behind the Camera: Founded by director Ben DeJesus, Diamante Pictures is a production and branded entertainment company that is based in New York City and Miami Beach. Diamante Pictures has produced over 75 hours of programming for broadcast, 100+ commercials, 100+ webisodes, 35 music videos, and 25 DVD titles. Fisher Stevens, Producer is an actor, director, and Oscar-winning producer. 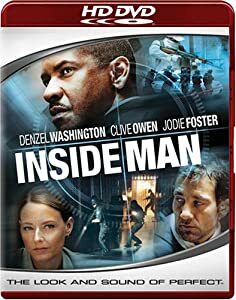 His most recent successes include the 2010 Academy Award for Best Documentary Feature for his film THE COVE and 2008 Independent Spirit Award for Best Documentary Feature for his film CRAZY LOVE. He also directed the award-winning Broadway show GHETTO KLOWN starring John Leguizamo. The Goal: We aim to complete the film in the next few months with the highest quality standards possible. The film has been offered the opportunity to premiere on PBS this summer, but we need your support to make it happen. This documentary is more than just a behind-the-scenes look at a play; it’s a touching, hilarious, and uplifting experience that will leave many people inspired and changed. With this head start, we could bring the film the international attention that it deserves. PHOTO FLASH: The Broadway League launches VIVA BROADWAY! 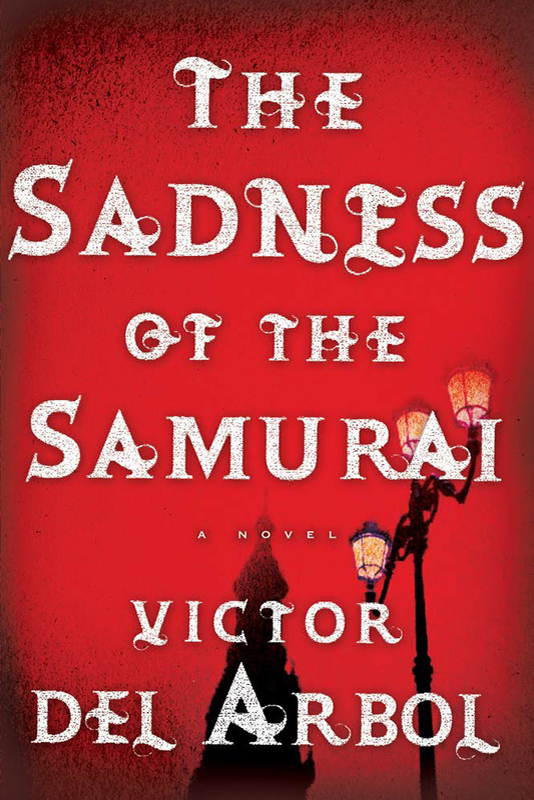 When Isabel, a Spanish aristocrat living in the pro-Nazi Spain of 1941, becomes involved in a plot to kill her Fascist husband, she finds herself betrayed by her mysterious lover. The effects of her betrayal play out in a violent struggle for power in both family and government over three generations, intertwining her story with that of a young lawyer named Maria forty years later. During the attempted Fascist coup of 1981, Maria is accused of plotting the prison escape of a man she successfully prosecuted for murder. As Maria's and Isabel's narratives unfold they encircle each other, creating a page-turning literary thriller firmly rooted in history. Infuriated by a lack of Book Lists featuring Latinos or Hispanics, I've taken the liberty of making my own via the latest Arc90 lab experiment, powered by Readability, Readlists. The best thing about this list? You can export it and send to it to your Kindle, iPhone/iPad, or email and download it as an e-book. You can also access the full list here. Finally saw Hesher - loved it! Joseph Gordon Levitt can do no wrong in my book. E.L. James, author of Fifty Shades of Grey trilogy, made Time's 100 Most Influential People in the World list. Books now with more "Manliness"
Laura Lacámara, an illustrator and children book author, has written an engaging, reflective essay on her experiences with major publishing houses. Latina Pay attention: Marie Claire @Work features Salma Hayek on the cover: Did you know she has a make-up line (she's the granddaughter of a Paris-trained cosmetologist) and is producing a film version of The Prophet by Khalil Gibran. Bonsai is a 2011 Chilean drama film directed by Cristián Jiménez, based on a book by the same name by Alejandro Zambra that has just been released in the United States. Cristián Jiménez’s charming debut celebrates love, literature and botany in his portrayal of a struggling writer, who, in order to keep up a lie that he has told his current lover, finds himself writing a book about his very first experience with love. Nostalgic and moving, Jiménez captures the essence of first love, and the loss of innocence that occurs when it disappears. See the reviews here & here. 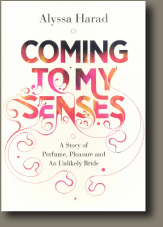 "Home is where your mother lives"
I was recently given an opportunity to read the upcoming memoir, Coming to My Senses: A Story of Perfume, Pleasure, and an Unlikely Bride, from perfume blogger Alyssa Harad. It instantly hit home with me as some of you might recall my own experience with the discovery of my Great Grandmother's own signature scent, My Sin last year. It kind of took me aback somewhat. Was this sort of thing a common experience? There was a sort of meta narrative as well, where Harad herself begin to explore her own identity, womanhood, self, friends and family through this lens of their scents (dislikes, passions and signature) as I, the reader reveled in my own. for a lush, decadent read. Boo! Harad's an exquisite writer and her sensational descriptions of memories, experiences and aromatic bouquets, traces, whiffs are intoxicating even to the scent-deprived reader of the other side of the iPad. Although initially turned off by the '"girly'" title, the book description pulled me in for a wonderful surprise. Harad's is not your typical beauty or fashion blogger. She's an academic (PhD in Eng. Lit), a tomboy, a feminist - who discovers her deep, reticent passion for perfumes during her mid-thirties during her engagement to her Mexican-American fiancee through online research and blogs. Her path of discovery leads her to embrace who she is, what she loves, and what makes her happy. Eat, Love, Pray --- Smell... Trend? The book also brought to mind The Book of Lost Fragrances: A Novel of Suspense by M. J. Rose, which also centers around perfumes but which I have not read along with some other recent books from the last year. Along with the blog-to-book and Kitchen-recipe memoirs, I wonder if this is the beginning of a new category for the book industry. Verdict: Geek fan girls and chic fashionistas alike will enjoy this true story of self-discovery and coming to terms with your own femininity. The PBS SERIES "LATIN AMERICANS" will tell the EXPERIENCE OF LATINOS IN THE UNITED STATES DURING THE LAST 200 YEARS, coming FALL OF 2013. LATINO AMERICANS narrate the arrival of millions of people from 1980 to the twenty-first century, the greatest migration of people in the recent history of the United States. The reasons for their arrival were many: from riots and civil wars, the impact of U.S. policies during the Cold War, and the consequences of globalization and free trade in North America (NAFTA). Many immigrants came to America seeking a better life for their families, pursuing the American dream. The series will also examine the consequences of strengthening the borders, anti-bilingualism and the efforts by declaring illegal immigration a felony. But during the debate on immigration, the powerful voice of Latinos in the second, third and fourth generation rose to reach positions of power and influence, changing the American political and economic framework, and meeting at a new phenomenon: the concept of " Latin-American. " 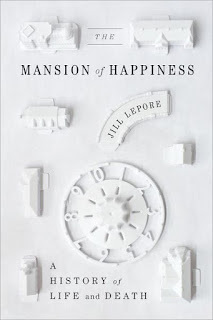 Doesn't this book cover remind you of the opening sequence of Game of Thrones? This conference aims to draw a critical mass of U.S. Latina/o literary critics and theorists, both foundational thinkers and emerging voices, for the first time in the history of the field. In response to a literature extant in the United States for roughly 150 years, U.S. Latina/o literary scholarship has grown with exponential force over the last two decades. Thinking through an array of subjects from borders to exile, poetics to politics, bilingualism, race, and sexuality, U.S. Latina/o literary scholarship offers new dimensions to the study of “American” literature. As the inaugural conference, this gathering marks a historic intervention calling attention to the robust contributions of U.S. Latina/o writers. For too long, academic conferences have relegated Latina/o literary scholars to isolated panels, in large part fueled by the erroneous perception that U.S. Latina/o literature lacks the depth and breadth of other established literatures. Yet this flies in the face not only of a rich body of literature, but scholarly community laboring to shape the field and find greater institutional inclusion. Thus, this three-day conference offers an exclusive space for intellectual exploration and exchange on a literature that sits within literary studies like the proverbial elephant in the room, just too substantial to ignore. Consolidating the field, inciting generative conversations, creating innovative modes of reading and understanding, are some of the scholarly objectives of this conference. Located in New York City, home to one of the largest and most diverse Latina/o populations in the country and birthplace to some of the important literary movements in Latina/o literature, this conference boldly calls for a fundamental reawakening of the field. One that provides the space for critics of multiple U.S. Latina/o literatures to congregate and become (re)acquainted in order to expand our scholarship and build critical networks of support. In an era when Ethnic Studies is being attacked, we must brazenly champion, across our departments and institutions, a brilliant literature and scholarship that shine a path to a more complex and just humanity. Proposals for panels or individual papers are welcomed. Undergraduate and graduate student submissions are encouraged.